Buy 1 Get 1 Free Yearly Hosting. This deal just for new customer and for a limited time. Save up to 20% Off on Reseller Hosting Windows And Linux + Annual/Biennial Term ! Up to 50% off on your first month of VPS for New Customers only. Offer for a limited time. 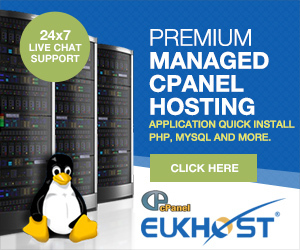 Get up to 15% OFF eUKhost Managed Dedicated Servers, Promo Code: ‘DS15June’ valid until 30th June 2017.